A favorite of both breeders and hobbyist alike, stackable Reptile Ranches® are ideal as a retreat for various species of reptiles and small animals. All Reptile Ranch® lids have hinged viewer/feeders, attachment holes and airline tubing holes. 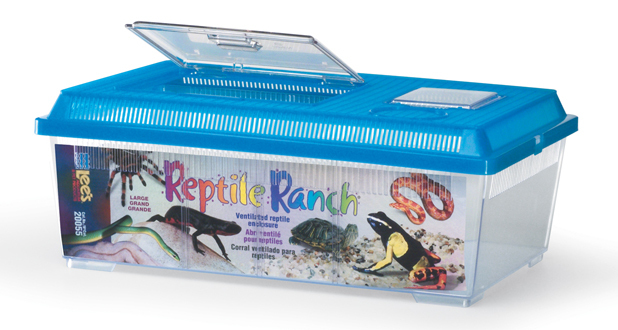 The large Reptile Ranch® has a removable divider and large access door with an electric cord inlet opening in the lid.